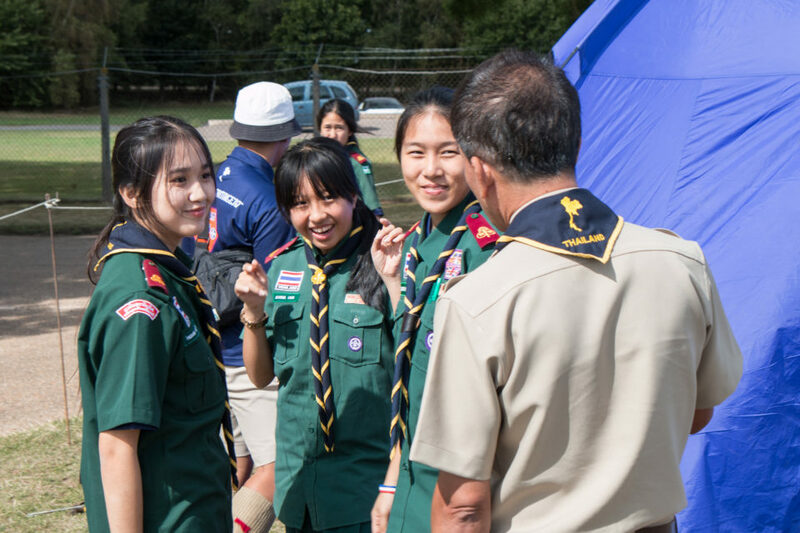 With the visit of the Thailand Contingent to NORJAM 2018, who are staying on the 70s sub camp, we have decided to give you an insight into what Scouting is like in the Asian country. 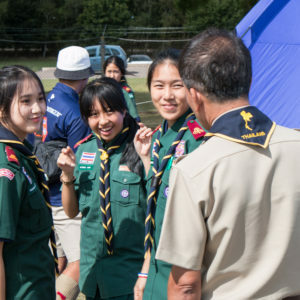 The National Scout Organisation of Thailand (NSOT) was founded in 1911 and was also one of the charter members of the World Organisation of the Scout Movement in 1922. 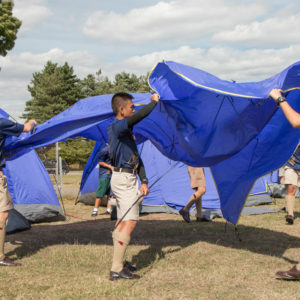 There are nearly 1 million members of the NSOT, open to both boys and girls. Scouting in Thailand is slightly different to what it is like in the UK. This is because it is part of the education programme, through not mandatory. Other youth programmes are available, such as the Thai Red Cross. They wear their Scout uniforms to school once a week. The specific day of the week is set by the local schools that they attend. The Chief Scout of Thailand is the King, Maha Vajiralongkorn (Rama X). 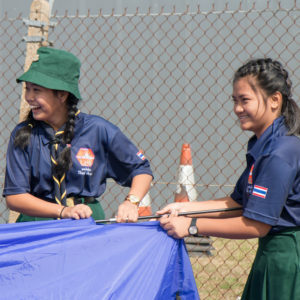 The highest honour a scout in Thailand can receive is the King’s Scout Award; this is the equivalent to our Queen’s Scout Award. ‘Better to die than to lie’ is the Scout motto of Thailand and this is located on their badge.